This week a team of scientists and physicians from the U.K. published news of a second HIV positive man, in London, who is in long-term (18-month) HIV remission after undergoing treatment for Hodgkins lymphoma. The unexpected success has launched a new round of discussion about a potential cure for HIV. Since 2008, scientists have been trying to replicate the treatment that cured the “Berlin patient” of HIV. At the time, many in the field of HIV research were excited to learn that this man, who tested positive for the human immunodeficiency virus in Berlin and had recently undergone treatment for acute myeloid leukemia, appeared to have been cured of his HIV. Until now, success in replicating that cure has been limited. HIV is the virus that causes AIDS. Since the virus was first discovered in the 1980s, more than 75 million people worldwide have been infected with HIV. Today, almost 37 million people live with HIV. Of these, about 1.1 million live in the U.S. Infection with HIV almost always led to AIDS, which in turn was almost always fatal. The field was revolutionized in 1996 with the introduction of HIV anti-retroviral therapy medications. These drugs halt HIV from replicating and allow an infected person to regain a functioning immune system. These medications are so effective that today a person living with HIV has almost the same life expectancy of someone without HIV infection. However, these medications must be taken every day, have multiple distressing side effects, and can cost thousands of dollars each month. Yet even with this life-extending treatment, a functional HIV cure, defined as when someone with HIV no longer tests positive for the virus and does not need to take these medications, has remained elusive. All of that seemed to change when in 2008 at the Conference on Retrovirus and Opportunistic Infections in Boston, Massachusetts, the news broke of the Berlin patient, named Timothy Ray Brown, who seemed to have been cured of his HIV. In order to achieve that serendipitous “cure,” Brown had to undergo aggressive treatment for his acute myeloid leukemia that involved two hematopoietic stem cell transplantations – in which a patient’s bone marrow is damaged – and full body irradiation. This complex treatment involves destroying a person’s own immune system with high doses of chemotherapy or radiation. Then the patient receives a transplant of new stem cells from either themselves or a donor. This is a difficult treatment that carries a high risk of infection and other complications, such as graft-versus-host disease, blood clots and liver disease. Researchers learned that Brown and the “London patient” both shared a novel treatment course. In the case of both Brown and now the London patient, the new blood cells transplanted into them were from donors who had two copies of a gene mutation for the CCR5 receptor. This CCR5 receptor mutation – present in about 1 percent of people of European descent – prevents HIV viruses from entering immune cells. This renders them resistant to most HIV infection. However, it’s not just surviving the transplant that confers the HIV “cure” or remission. After receiving treatment, both patients were eventually taken off their anti-retroviral medications and subsequent examination showed that that even with very sensitive blood tests, the team could not detect HIV in their blood. The inability to find HIV in their blood, coupled with the missing CCR5 receptor, constitutes the HIV viral remission of the London patient announced earlier this week. 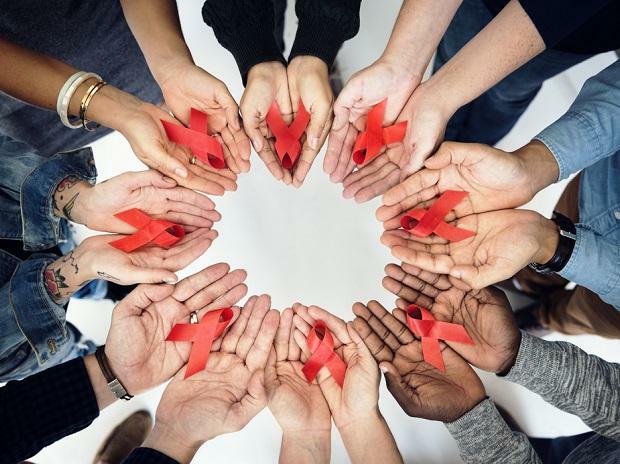 Given recent disappointments after hematopoietic stem cell transplantations in people living with HIV, the team reporting on remission of the London patient does not describe their patient as cured. Neither should anyone else. While a second patient experiencing HIV viral remission with a slightly less toxic cancer treatment is certainly encouraging progress, an 18-month remission does not equal a cure. Most importantly, the HIV community learned that Brown’s case was not unique. This gives us another, and perhaps greater reason, to hope for future revolutions in the HIV cure scientific agenda.Also, while the London patient’s cancer treatment was less intense, with just chemotherapy and the stem cell transplant, it was still toxic and is not a course of treatment that otherwise healthy people living with HIV infection should embark upon.